Explanation: Wandering through this stunning field of view, Mars really is in front of these colourful cosmic clouds. The mosaic contructed from telescopic images is about 5 degrees (10 full moons) across. It captures the planet's position on August 26, over 7 light-minutes from Earth and very near the line-of-sight to bright star Antares and the Rho Ophiuchi cloud complex. In the exposure yellow-hued Mars, above and left, is almost matched by Antares, also known as Alpha Scorpii, below centre. Globular star cluster M4 shines just right of Antares, but M4 lies some 7,000 light-years away compared to Antares' 500 light-year distance. 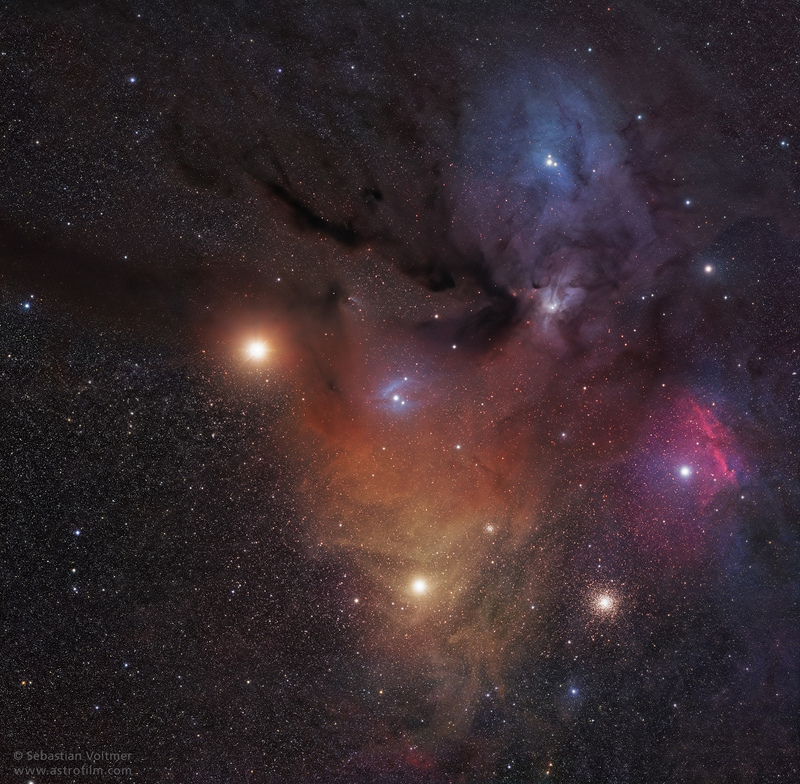 Slightly closer than Antares, Rho Ophiuchi's bluish starlight is reflected by the dusty molecular clouds near the top of the frame.